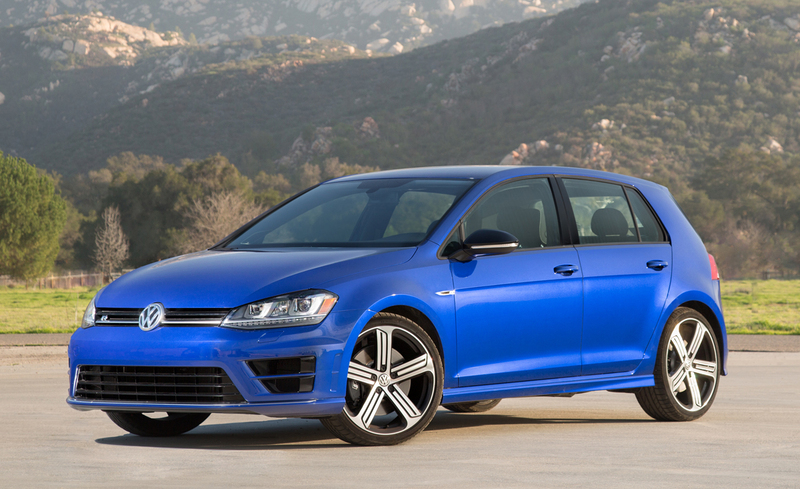 A vehicle that enthusiasts clamored for and now have is the 2015 and now 2016 Volkswagen Golf R, the most powerful version sold in North America. 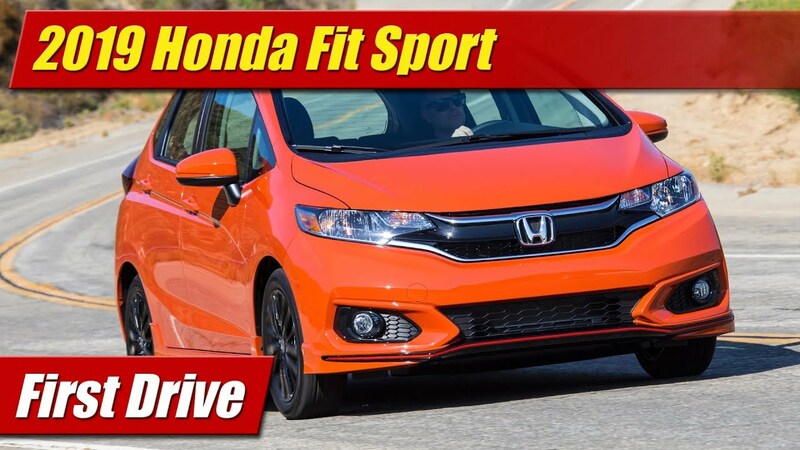 With 292 horsepower and 4Motion all-wheel drive, it’s got the goods to compete against rivals Subaru WRX Sti and Ford Focus RS. 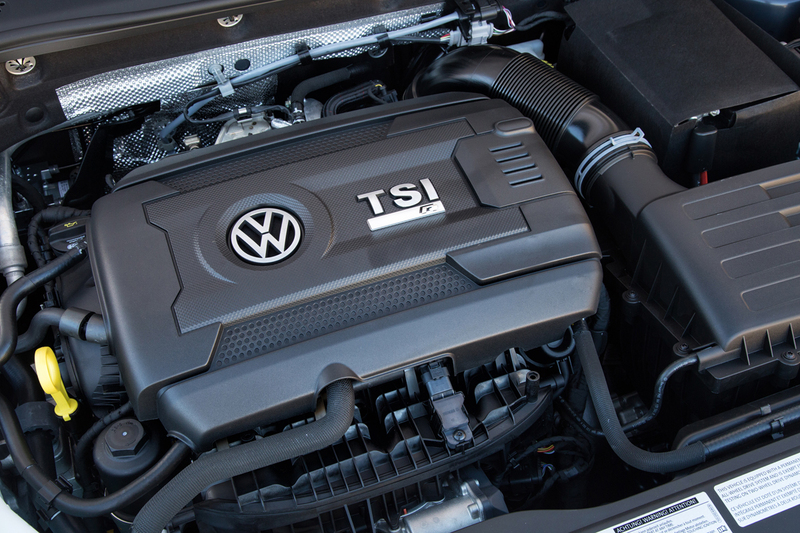 But before you go bench racing, there are a few things that set the Volkswagen Golf R off on its own path and make the argument less than apples to apples. 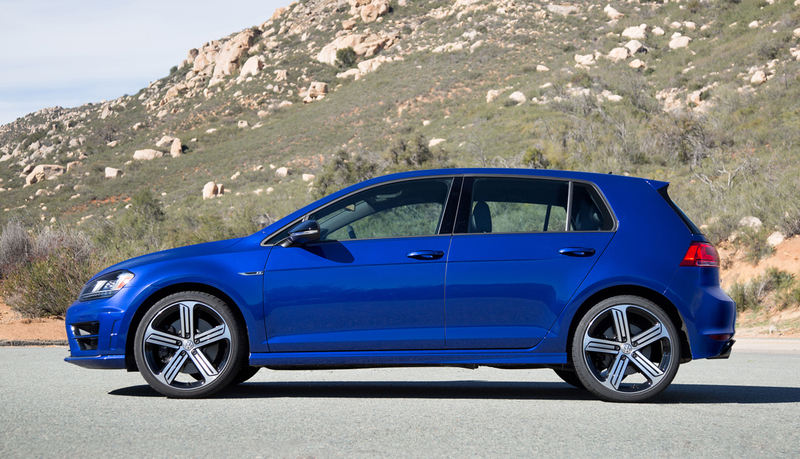 First there’s the styling which while amped up from the base Golf and GTI is much more subdued that its competition. It has a unique front fascia, 19-inch wheels and at the rear gets a healthy set of quad-exhaust pipes. But there’s no big wing on the back to telegraph to the neighbors you’re home from the weekend job of racing. There’s an R logo on the grille and hatch, but that’s about it for bragging. 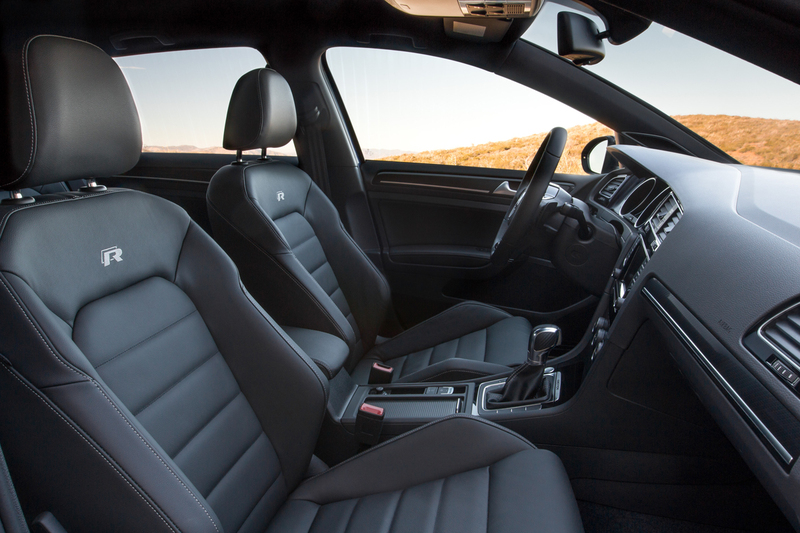 That subtlety continues to the interior that comes in black leather trim only. It gets a thick flat bottom steering wheel that really feels good in your hands. Its leather sport seats aren’t over the top in style or colors but feel great to sit in and hold you tight without hurting you. Decorative trims too are rather businesslike. There aren’t massive slabs of boy racer carbon-fiber or body color pieces. Piano black bezels make for most of the bling, along with R logos here and there. 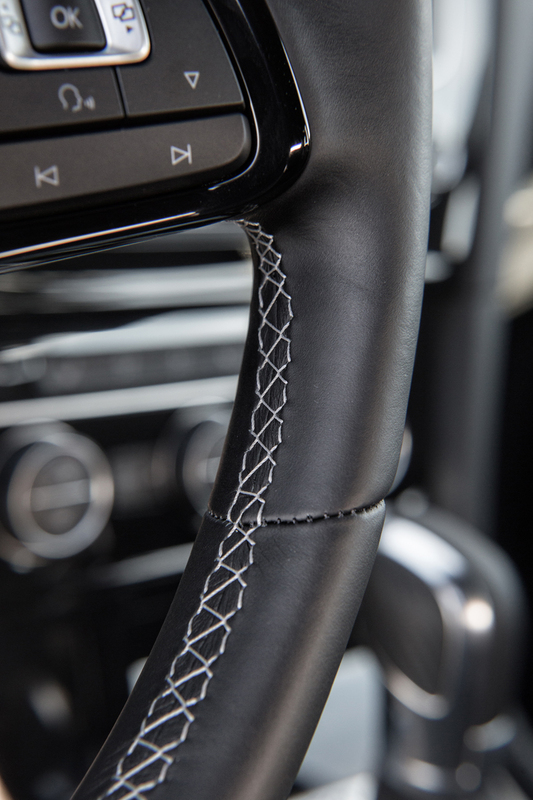 Carbon-fiber accents can be found but they are minimal. 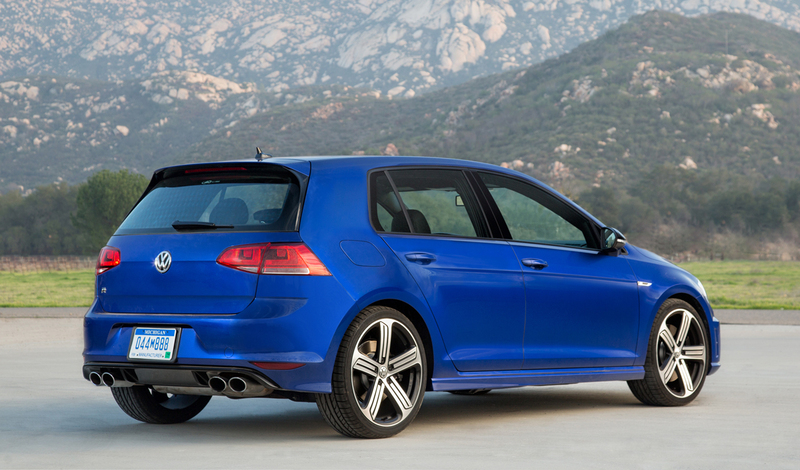 The Golf R comes fully loaded, or extra fully loaded like our tester with DCC and NAV. For 2016 models you get a new infotainment system which is improved over 2015 and now offering Apple CarPlay and Android Auto. That’s all great but driving is what we’re here for. 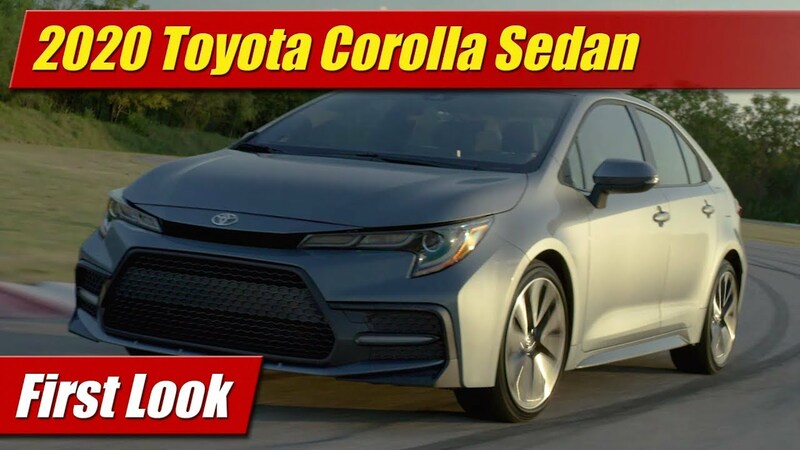 Its 292 horsepower 2.0 liter turbocharged four-cylinder engine is slightly less powerful than the Ford or the Subaru. What it has in the trade off however is far more refinement. 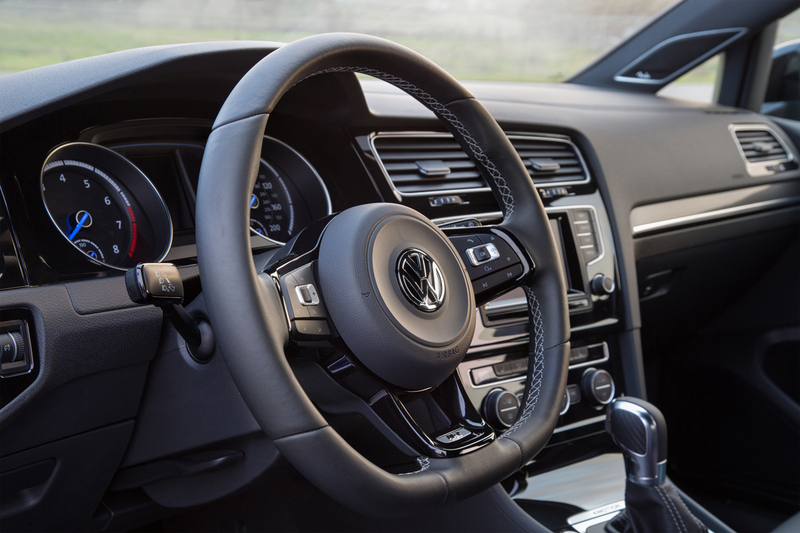 Revving through the gears with the six-speed DSG automatic transmission, the engine feels silky smooth while it raps out a nice but subdued exhaust note. Volkswagen says it will accelerate from 0 to 60 in just 4.9 seconds, the latter by way of the DSG’s launch control feature. And that feels about right. It has paddles on the steering wheel too if you want them, but to be honest friends, if you like to shift your own gears I recommend skipping the DSG and getting the six-speed manual. The DSG is best left in automatic mode where it works well. If you try to us it like a manual you’ll get frustrated with it. What works well is the 4MOTION all-wheel drive and chassis controls. 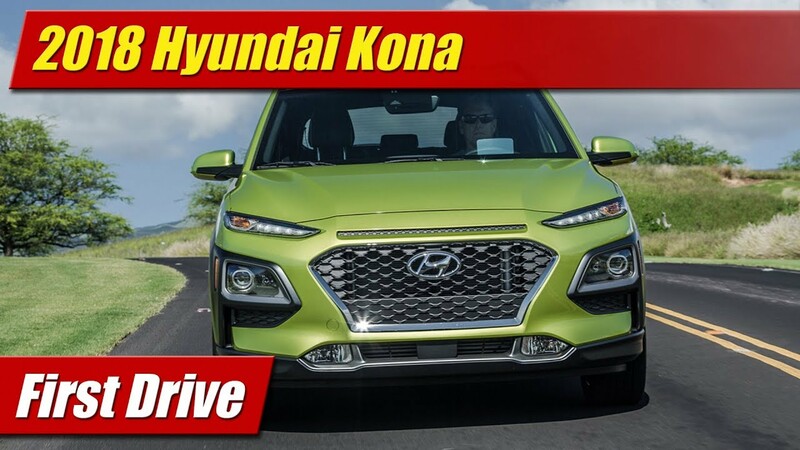 Its “dial-a-ride” DCC adaptive suspension, progressive variable-ratio steering, and a stability control system all work hand in hand to offer up the German experience of refinement at the edge of grip. You never feel like you’re being treated rough, even on rough roads. And that brings us to my takeaway here. Yes the Subaru and Ford have more power, they’re louder both visually and in their exhaust notes, and when you push them hard you know you bought a real-life play time race car. But you pay a price for all that in the daily drive. With the Golf R, you get the extra performance thrill but in a more refined and polished package you can spend your day in and never get tired of the hoopla. And, you can park it in front of your home without the neighbors thinking you are going through some kind of life crisis.